Sandy, 49, Wichita, Kansas, US - I find myself pregnant at 49 years old, my 50th birthday on the near horizon. I have a son born in 1982 who is himself already the father of my 2-year-old grandson. I have another son born in 1985. I re-married (a younger man) and had another son in 1996 after struggling with infertility. I was surprised in 1996 to discover I was pregnant with another boy. I have joked for the past decade - I turned 40 and found out I was pregnant in the same week. Now I find I will turn 50 pregnant. Un-planned. Have you ever heard of such a thing? Do 49-year-old women actually get pregnant without fertility boosts? My periods have become less regular, but I still had them, and I know when I am ovulating. 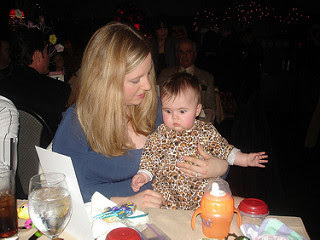 Stacey, 44, New Jersey, US - My name is Stacy (first time Mom), and I naturally conceived and delivered a healthy baby boy September 2004 at 43 years of age. I am now expecting another child April of 2006, again naturally conceived. You know the saying 'life is full of surprises' is true! I did have an uncle whose wife was 50/51 years old when they had their 12th child - so I can only keep hoping and praying. Leslie, 45, Germany - this is my third pregnancy in one year, all naturally conceived. The first one was terminated in August 2004; it was in the tube and the tube had to be removed. I was devastated, as I thought there is no way to become pregnant at 43/44 years old, with only one tube left. The first time we tried again after the operation in December 2004, I fell pregnant again. I could hardly believe it, but sadly enough it was not OK, I lost it in the 11th week. I just did not want to give up, even though my spirits started to be very low indeed. All the hormones up and down really affected my body. and I gained a lot of weight. Anyway, after the pregnancy loss and operation on 4th of March, we tried again in May - and I fell pregnant straight away. Now I am in the 18th week, and until now it looks very good and healthy. I can even feel the baby kick. So I think it is just as possible to become pregnant in the forties or even late forties. Just do not give up! 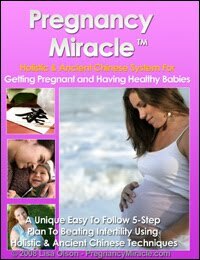 After 14 years of trial, error, and experimentation, I finally discovered the answer to infertility and developed a fool-proof system for getting pregnant the natural way - no drugs, or surgery necessary. great article. I would love to follow you on twitter. Im 48 and my husband is 55. He has never had a child and Im concidering it for him.. Just a little worried about going through all of that at my age.. I would do it for him though. I am 49, and my fiance is 47. He wants to have a baby. I was thrilled that he wants us to have a baby. I have 24yr old son, and a 20 yr old daughter.Both pregnancies were fine except for the morning,noon and night sickness. I still have regular cycles...my question is what are the percentages of abnormality births at my age. That is what scares me most, and what are my chances of becoming pregnant. I have not been on any kind of birth control for yrs. Julia Indichova offers wonderful support from her website and books. There are many suggestions to help the pregnancy be as healthy as possible. I liked your article. You have a beautiful soul and strong will. You have tackled that very smartly. Now a days most of the women go for family balancing process by step which is really helpful in the long run. I am 49 yr old mom of two boys 26 and 23.My boyfriend is 26 and wanted children.We tried for nearly a year and now we just found out that I am pregnant.We are overjoyed.